The majority of online casinos are great – they’re fun, they offer fair games, they provide quality customer services, and have quick withdrawal times. However, just like with everything in life, where there is good, there is bad and blacklisted casinos. Therefore, on the odd occasion, you might come across an online casino that does not meet the high standards of most other online casinos – they offer a very poor player experience, fail to help their customers when they need assistance, withhold winnings, and spam players with false advertising. These types of online casinos, and rightfully so, receive a lot of complaints from their players, but most of the time these complaints are inexplicably ignored, and their players continue to receive a less than a satisfactory gaming experience. This lack of responsibility and care towards their players eventually ends with the casino being blacklisted. Let us now take a closer look at the criteria that is used to create a list of blacklisted casinos. Lack of payment – Some casinos state that it will take 30 days for you to receive the money that you have won, which is fine as they have made it clear in their terms and conditions. But, it’s definitely not fine when those 30 days have passed, and you’re still waiting. Casinos that withhold winnings should all be blacklisted. 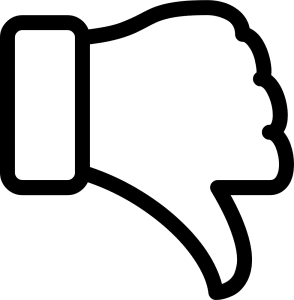 Not random – It’s normal to go on a losing streak at a casino, but if a particular casino doesn’t use a Random Number Generator to ensure that spins and deals are all random, or if they use a fixed RNG, the casino is cheating their customers and deserves to be blacklisted. False advertising – If a casino advertises a tasty bonus, but makes it difficult for their players to claim, they will be blacklisted – it’s not right to trick paying customers. 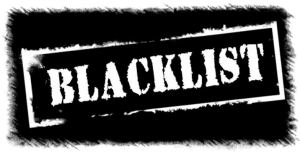 We will now take a look at some commonly blacklisted casinos that you should avoid at all costs. 377 Bet is an online casino that we advise players to avoid as not only do they have faulty deposit methods, but they also do not have the valid licences to operate. This will jeopardise your protection, which could result in a less than satisfactory playing experience. Supposedly, they are currently in the process of sorting their eGaming licence out, but until they do, it is in your best interest if you spend your money elsewhere. All Star Slots Casino used to be a great casino to play at, but the casino changed owners back in 2016, and since then it has gone downhill. It now regularly associates itself with AffPower, a rogue operator that is known for its dodgy practices. As a result of this, All Star Slots is known for its unethical practices such as using pirated software and providing their customers with confusing terms and conditions. BetVictor is an online casino that should really be avoided like one of the seven plagues of Egypt. This is because they are known to treat their affiliate partners extremely badly and are also known for providing their customers with unfair terms and conditions. Buzzluck casino used to be run by the highly respected Club World group, but the ownership changed hands back in 2016, and since then, it is safe to say that everything has taken a huge downward spiral. They have also associated themselves with AffPower, which is more than enough for them to be placed on anyone’s blacklist. Casino Grand Bay used to be a Microgaming casino, but they have since switched to Saucify software. They now avoid paying their affiliates and still serve US customers even though they have shut down all of their market operations in the US. If you play here, you do so at your own risk! Club Euro casino was also part of the reputable Club World group, but like most of the blacklisted casinos that we have mentioned in this article, everything that was good about this casino went down the toilet when it changed hands and the new owners associated themselves with AffPower. Now, they seem to think that it is perfectly fine to cheat their customers and their affiliates. Need we say more? This is one to avoid at all costs. Like Club Euro, Club SA also used to be part of the Club World Group, but for the last three years they have been working with the crooks from AffPower, and also like to cheat their customers and affiliates out of their hard earned money. Club USA has the same story as the other two casinos above. The Club World group used to own it, then it changed management, associated itself with those at AffPower, and now they spend their time cheating their customers and affiliates. Golden Palace, established back in 1997, used to be a highly respectable place to gamble, but that all changed around 2012 when they decided to start delaying payments to their customers, confiscating bonus winnings by claiming that the customer had abused the system, advertise false offers, and provide unfair terms and conditions. High Noon Casino, hit hard times back in 2016, and since then they have constantly cheated their affiliates and customers. It will come as no surprise to you to learn that they now have a strong connection to the infamous AffPower. Lucky Red Casino, once upon a time, used to be a respectable venue, but their new management decided to get involved with AffPower (never a good decision), and now the only thing they are good at is cheating their loyal customers and affiliates. Sekabet is an online casino that you will find on many blacklists. The main reason for this is that they operate using an out of date Curacao licence. Furthermore, they are known for providing counterfeit Novamatic games and being extremely rude to their customers. There are so many sites available online that have an extensive list of blacklisted casinos, so if you come across a new casino that you’re thinking about giving a go, just take five minutes or so to do a quick search on Google to see if it has been blacklisted anywhere. Casinos appear on blacklists for a reason, so we strongly advise against giving a casino that has been blacklisted your personal data or your bank details. It’s just not worth the risk.